However, certain rocks (such as lapis lazuli) or organic materials that are not minerals (such as amber or jet), are also used for jewelry, and are therefore often considered to be gemstones as well. Most gemstones are hard, but some soft minerals are used in jewelry because of their luster or other physical properties that have aesthetic value. Rarity is another characteristic that lends value to a gemstone. Apart from jewelry, from earliest antiquity engraved gems and hardstone carvings, such as cups, were major luxury art forms. A gem maker is called a lapidary or gemcutter; a diamond worker is a diamantaire. Throughout history, humans have adorned themselves with jewelry – first made from bits of shell, bone and sparkly rocks, and later, with gems set in copper, silver and gold. It takes millions of years for crystals to form in nature, and only a fraction of those will ever be found, mined, cut and sold as gemstones. The value of gemstones depends on many factors, including rarity, quality, setting, and even politics. Dig in to the world of incredibly expensive jewels with our rundown of ten of the world’s rarest and most valuable gemstones. Tanzanite is the blue/violet variety of the mineral zoisite (a calcium aluminium hydroxyl Sorosilicate) belonging to the epidote group. It was discovered in the Mererani Hills of Manyara Region in Northern Tanzania in 1967, near the city of Arusha and Mount Kilimanjaro. Tanzanite is used as a relatively cheap gemstone, where it can substitute for the far more expensive sapphire after undergoing artificial heat treatment to form a deep blue coloration. 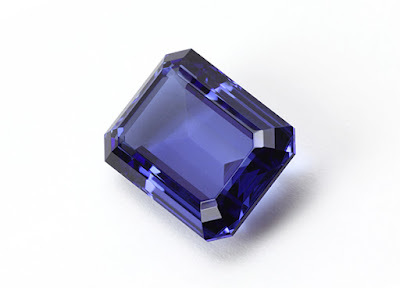 Naturally formed tanzanite is extremely rare and is endemic only to the Mererani Hills. Composition: Calcium, Aluminum, Silicon, Hydrogen, Oxygen | Market Value: $600-$1,000 per carat. Taaffeite is a mineral, named after its discoverer Richard Taaffe (1898–1967) who found the first sample, a cut and polished gem, in October 1945 in a jeweler’s shop in Dublin, Ireland. 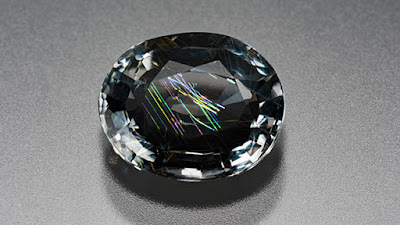 As such, it is the only gemstone to have been initially identified from a faceted stone. Most pieces of the gem, prior to Taaffe, had been misidentified as spinel. For many years afterwards, it was known only in a few samples, and is still one of the rarest gemstone minerals in the world. Composition: Magnesium, Beryllium, Aluminum, Oxygen | Market Value: $1500-$2500 per carat. The internal structure of precious opal makes it diffract light; depending on the conditions in which it formed, it can take on many colors. Precious opal ranges from clear through white, gray, red, orange, yellow, green, blue, magenta, rose, pink, slate, olive, brown, and black. Of these hues, the black opals are the most rare, whereas white and greens are the most common. It varies in optical density from opaque to semitransparent. Black Opal is a greenish type of opal with black mottling and gold flecks. Usually found in ancient hot springs, the gem is usually tumbled smooth and cut cabochon. The phrase in the North “Black as a black opal” means, effectively, not very black (or evil) at all, and is used to describe good-hearted rogues and similar individuals who would be embarrassed by praise. A typical specimen has a base value of 1000gp. Composition: Silicon, Hydrogen, Oxygen | Market Value: $2,355 per carat. Benitoite is a rare blue barium titanium silicate mineral, found in hydrothermally altered serpentinite. 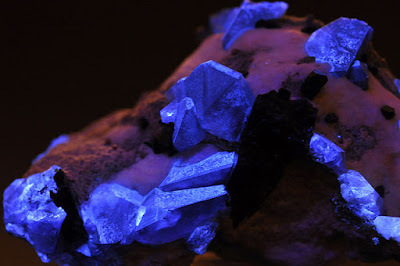 Benitoite fluoresces under short wave ultraviolet light, appearing bright blue to bluish white in color. The more rarely seen clear to white benitoite crystals fluoresce red under long-wave UV light. It was first described in 1907 by George D. Louderback, who named it benitoite for its occurrence near the headwaters of the San Benito River in San Benito County, California. Benitoite occurs in a number of sites, but gemstone quality material has only been found in California. In 1985 benitoite was named as the official state gem of California. Benitiote has a rare 5 pointed crystal form, and an even rarer 6 pointed form, “star of David”, with about 24 samples known. Composition: Barium, Titanium, Silicon, Oxygen | Market Value: $3000-$4000 per carat. In geology, beryl is a mineral composed of beryllium aluminium cyclosilicate with the chemical formula Be3Al2(Si O3)6. The hexagonal crystals of beryl may be very small or range to several meters in size. Terminated crystals are relatively rare. Pure beryl is colorless, but it is frequently tinted by impurities; possible colors are green, blue, yellow, red, and white. Red beryl (formerly known as “bixbite” and marketed as “red emerald” or “scarlet emerald”) is a red variety of beryl. It was first described in 1904 for an occurrence, its type locality, at Maynard’s Claim (Pismire Knolls), Thomas Range, Juab County, Utah. The old synonym “bixbite” is deprecated from the CIBJO, because of the risk of confusion with the mineral bixbyite (also named after the mineralogist Maynard Bixby). The dark red color is attributed to Mn3+ ions. Red beryl is very rare and has been reported only from a handful of locations including: Wah Wah Mountains, Beaver County, Utah; Paramount Canyon and Round Mountain, Sierra County, New Mexico, although the latter locality does not often produce gem grade stones; and Juab County, Utah. The greatest concentration of gem-grade red beryl comes from the Ruby-Violet Claim in the Wah Wah Mountains of the Thomas range of mid-western Utah, discovered in 1958 by Lamar Hodges, of Fillmore, Utah, while he was prospecting for uranium. 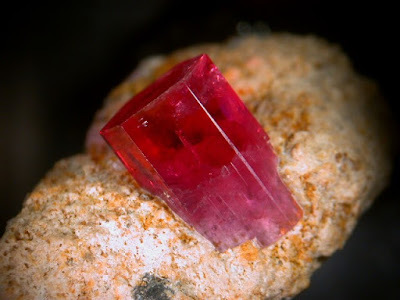 Red beryl has been known to be confused with pezzottaite, a caesium analog of beryl, that has been found in Madagascar and more recently Afghanistan; cut gems of the two varieties can be distinguished from their difference in refractive index, and rough crystals can be easily distinguished by differing crystal systems (pezzottaite trigonal, red beryl hexagonal). Synthetic red beryl is also produced. While gem beryls are ordinarily found in pegmatites and certain metamorphic stones, red beryl occurs in topaz-bearing rhyolites. It is formed by crystallizing under low pressure and high temperature from a pneumatolytic phase along fractures or within near-surface miarolitic cavities of the rhyolite. Associated minerals include bixbyite, quartz, orthoclase, topaz, spessartine, pseudobrookite and hematite. Composition: Beryllium, Aluminum, Silicon, Oxygen | Market Value: $10,000 per carat. Composition: Beryllium, Aluminum, Oxygen | Market Value: $12,000 per carat. 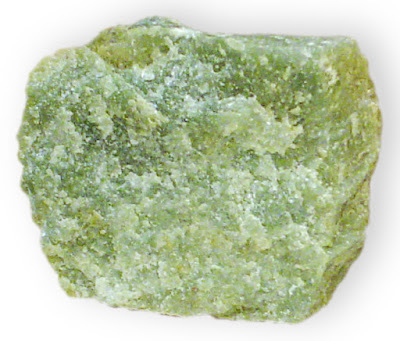 Jadeite is a pyroxene mineral with composition NaAlSi2O6. It is monoclinic. It has a Mohs hardness of about 6.5 to 7.0 depending on the composition. The mineral is dense, with a specific gravity of about 3.4. Jadeite forms solid solutions with other pyroxene endmembers such as augite and diopside (CaMg-rich endmembers), aegirine (NaFe endmember), and kosmochlor (NaCr endmember). Pyroxenes rich in both the jadeite and augite endmembers are known as omphacite. The name jadeite is derived from the Spanish phrase “piedra de ijada” which means “stone of the side”. It was believed to cure kidney stones if it was rubbed against the side of the afflicted person’s body. The Latin version of the name, lapis nephriticus, is the origin of the term nephrite, which is also a variety of jade. Jadeite is formed in metamorphic rocks under high pressure and relatively low temperature conditions. Albite (NaAlSi3O8) is a common mineral of the Earth’s crust, and it has a specific gravity of about 2.6, much less than that of jadeite. With increasing pressure, albite breaks down to form the high-pressure assemblage of jadeite plus quartz. Minerals associated with jadeite include: glaucophane, lawsonite, muscovite, aragonite, serpentine and quartz. This 0.86 ct gray musgravite displays an unusual iridescent phenomenon that is clearly visible in the table facet. Credit: Kevin Schumacher. Musgravite, Be(Mg, Fe, Zn)2Al6O12, is a gemstone reportedly named after the Musgrave Ranges, Australia, where it was first discovered. It is a synonym of magnesiotaaffeite-6N’3SIt, a member of the taaffeite family of minerals. Its hardness is 8 to 8.5 on the Mohs scale. Composition: Magnesium, Beryllium, Aluminum, Zinc, Iron, Oxygen | Market Value: $35,000 per carat. The chemical makeup of painite contains calcium, zirconium, boron, aluminium and oxygen (CaZrAl9O15(BO3)). The mineral also contains trace amounts of chromium and vanadium. 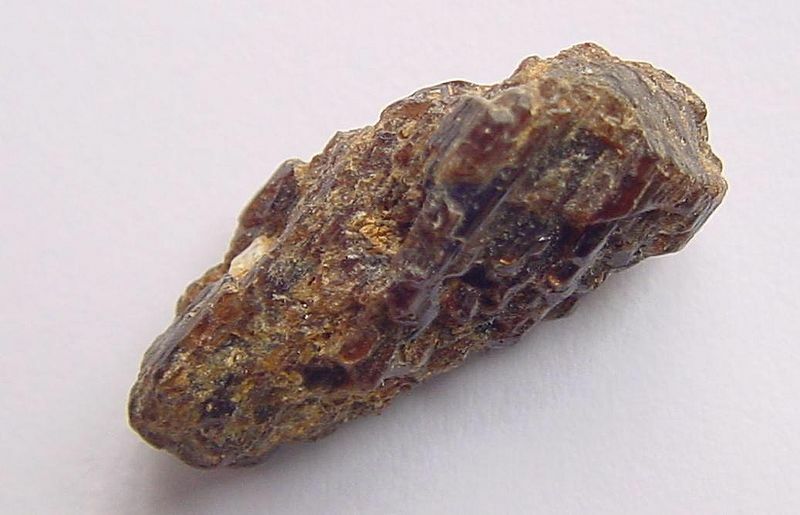 Painite has an orange-red to brownish-red color similar to topaz due to trace amounts of iron. The crystals are naturally hexagonal in shape, and, until late 2004, only two had been cut into faceted gemstones. Composition: Calcium, Zirconium, Boron, Aluminum, Oxygen | Market Value: $50,000-$60,000 per carat. The Pink Star, formerly known as the Steinmetz Pink, is a diamond weighing 59.60 carat (11.92 g), rated in color as Fancy Vivid Pink by the Gemological Institute of America. The Pink Star was mined by De Beers in 1999 in South Africa, and weighed 132.5 carat in the rough. The Pink Star is the largest known diamond having been rated Vivid Pink. 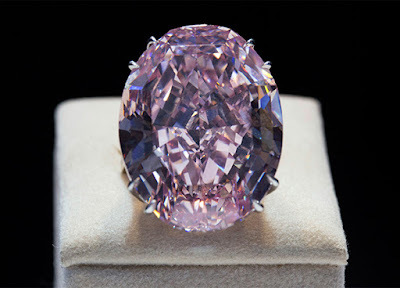 As a result of this exceptional rarity, the Steinmetz Group took a cautious 20 months to cut the Pink. It was unveiled in Monaco on 29 May 2003 in a public ceremony. 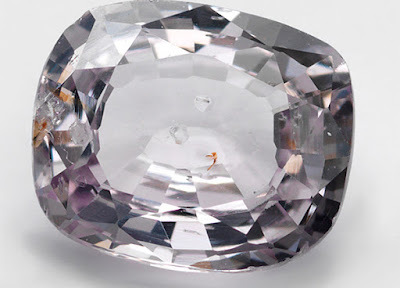 The Pink Star was displayed (as the Steinmetz Pink) as part of the Smithsonian’s “The Splendor of Diamonds” exhibit, alongside the De Beers Millennium Star, the world’s second largest (the Centenary Diamond is the largest) top colour (D) internally and externally flawless pear-shaped diamond at 203.04 carat (40.608 g), the Heart of Eternity Diamond, a 27.64 carat (5.582 g) heart-cut blue diamond and the Moussaieff Red Diamond, the world’s largest known Fancy Red diamond at 5.11 carat (1.022 g).